Welcome to Hogansjewelers.com. We are located in the center of the beautiful Alpine Village of Gaylord, Michigan. 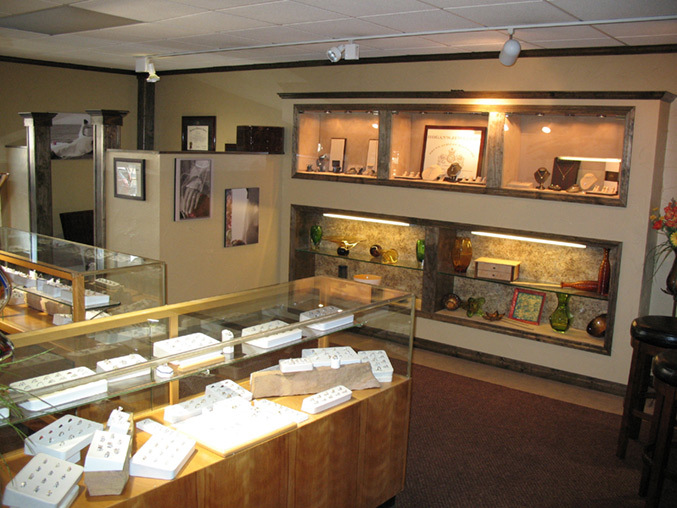 We are one of the most respected full-service jewelers in Northern Michigan. 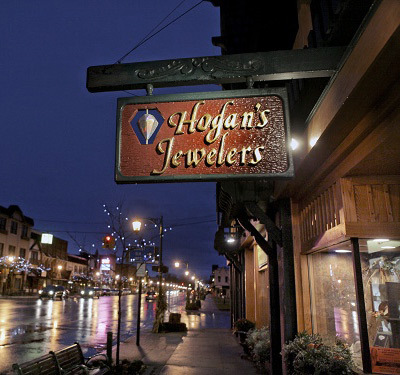 Hogan's has been "The Jeweler with Service" for over 50 years and we pride ourselves in carrying the finest lines of diamond and colored gemstone jewelry, as well as watches & clocks. In addition to our highest quality jewelry, Hogan's also provides complete Jewelry Appraisal services as well as Custom Jewelry design and creation. Our staff includes a graduate gemologist from the Gemological Institute of America as well as On-Site Goldsmiths. The staff at Hogan's Jewelers has well over 100 years of experience in helping you select the perfect piece of jewelry for you or your loved one. Choosing rings, necklaces, bracelets, pendants, watches, clocks or any piece of fine jewelry is a very personal experience. Our staff will take the time to help you make your decision - whether it be yellow or white gold, platinum, diamonds, colored gemstones or any of our other jewelry items, we're here to serve you. We also specialize in custom jewelry and re-mountings - our goldsmiths can start from scratch on a unique design just for you or re-vitalize one of your older pieces. 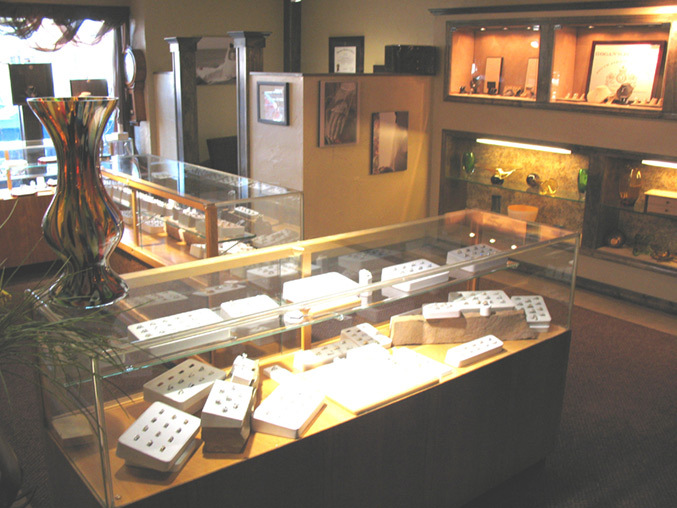 Stop and see us in downtown Gaylord - Hogan's Jewelers - "The Jeweler With Service".